So you’re in your first few months of a performing arts course. You’ve left home, possibly for the first time, are meeting lots of new people, and are learning the thing you’ve dreamed about doing. It’s all coming together now but that doesn’t mean it’s easy. There will most likely be challenging parts of your course, your life will have it’s ups and downs, and sometimes you might feel just a little homesick. Our TodayTix Squad have a few wise words to help you through. They’ve all either just entered or already completed courses just like yours and they’ve got some great tips on how to stay on track. When I was five, I wanted to be Prime Minister. When I was twelve, and had binge watched like, seven seasons of Grey’s Anatomy in two weeks, I was convinced I was going to be a surgeon (despite a shockingly average ability in science). I have since considered a career as a professional figure skater, lawyer, teacher, actor, writer, comedian, chef and goat farmer (to clarify, this was at the height of exam stress. Herding goats seemed like a better option than an exam on the Cold War). My point is, don’t be afraid of change. You’re going to be a slightly different person a week, a month, a year from now, and that’s such a fantastic prospect. Don’t stand still, become addicted to growth and development and learning. I know it’s terrifying and often a bit painful, and I know I still struggle to embrace change, but it can be such a wonderful thing. Exercise – Not only does this keep you fit physically it also helps to keep you sane – it’s amazing for your mind! At drama school you will delve into feelings and access your emotions on a daily basis and so it’s not surprising our industry has one of the highest rates of mental illness. Exercise and diet play a massive part in keeping you feeling good, both physically and mentally. 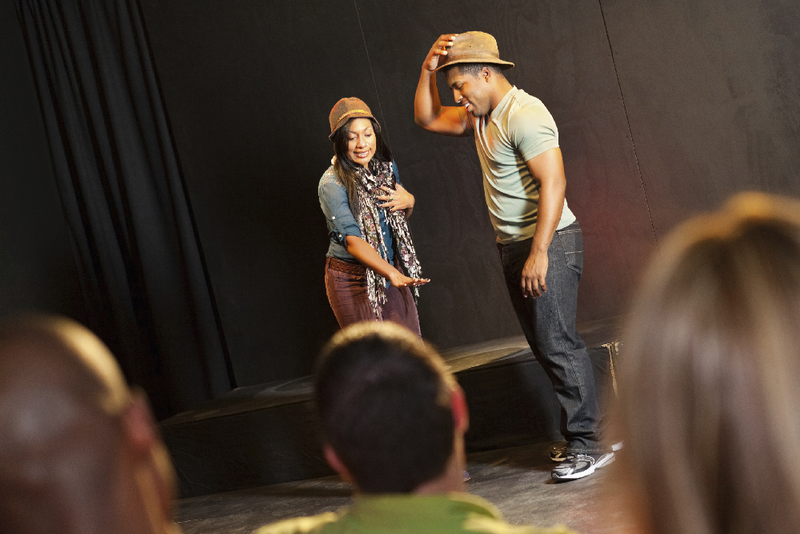 Be professional – Every class, every rehearsal, remember that reputation in this industry is everything and your teachers will be either working in the industry or have an influence or connections. Not only this, but starting now will get you in good habits for the future! Support your class mates – It’s not a competition, you’re a team, so make sure you always make people feel comfortable. Try and forgive and forget. Drama school is for making mistakes and people should be allowed to learn from them and reinvent themselves. Drink water and lots of it! – Try to always have a bottle with you. One of the biggest lifestyle changes I’ve ever experienced was definitely coming to college. Nothing could have prepared me enough for how much my life was going to happen in the space of those first few weeks. You expect the classes to be difficult and the standard to be high, but it’s all the things outside of lesson that really got me. It’s so important to treat your body right! Dancing or even just being active 5 days a week is extremely tough, and if you’re not fuelling yourself both physically and mentally, you are doomed for disaster! Finding the balance between working your hardest but not so hard you make yourself ill is tough, however it is possible. Listen to your body and allow yourself to take the time out you need after a long day to relax. If you’re living away from home make sure you’re always prepared. Eat food that tastes good, is good for you and always get enough sleep; nothing is worse than walking into an 8.30am warmup on an empty stomach with a pair of odd trainers on because you were too tired to think straight (yes it happened to me in my first term). Make sure you don’t ignore injuries and be sure to take the right precautions as, in the long run, it could effect your whole career. Lastly, and most importantly, stay positive. I cannot stress enough how important that is! Enjoy your time whilst training and really make the most of it, because you are there for a reason and you get to do something you love everyday; no one can take that from you. 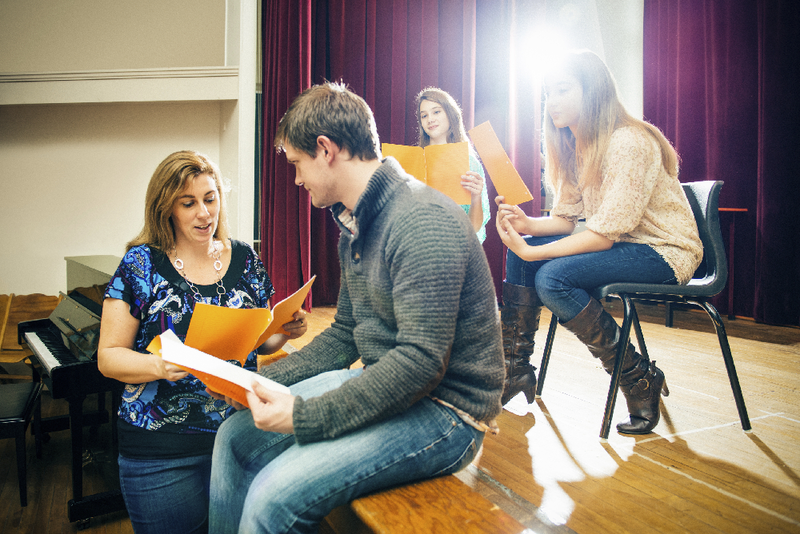 Keep organised – The first year at drama school can be very overwhelming. You’re constantly being thrown buckets of new information, things to read , things to practise, things to go see. Having a diary, filing worksheets into organisation folders, keeping a to do list will help you stay on top of things. 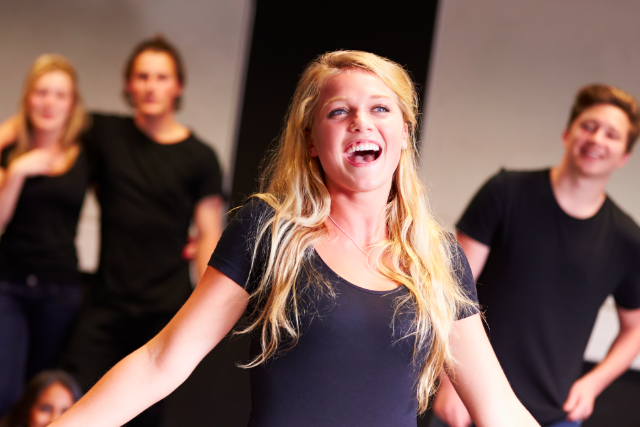 Get out of the drama school bubble – It’ll be very is easy for your life to become just about school; you’ll end up breathing, eating and thinking about it all the time. This isn’t necessarily healthy and will probably make you go insane. So have a social life outside of it all and do things that are totally unrelated to school and can get you out the house. There’s so much that you could be exploring which would actually relate to your training by adding to your creativity. Sleep – Honestly this is almost the most important tip. You don’t understand how much, lack of sleep can affect your training. Always try to give yourself at least 8-9hours of sleep a night. Just think, if you come into school tired it affects your whole day. You are unable to give a 100% to every lesson, which means you waste your day; school is expensive, you want to be getting everything you can out of each class! Do your best and believe in yourself – It’s likely that you’ll find first year of training very difficult. You may feel like you’re not good enough or can’t do anything right. But you need understand that the teachers are not there to praise you at everything you’re good at, they’re there to work you hard on the things you aren’t so strong at! They’ll help you strip away all your unhelpful habitual ways, so that you can progress and become the best that you can be. So always try commit and give a 100% to every class and keep open minded even if you think “why the hell am I rolling on the floor pretending to be water” – there’s always a reason for everything you do. If you don’t commit, again, it’s a waste and you’re paying a lot of money to be at your institution. Remember, You DESERVE to be there. A lot of people auditioned but they chose you. You are special and you are one step closer to your dream. So don’t ever give up! Follow Lola on Twitter and Instagram. I’ve recently graduated from Mountview Academy of Theatre Arts in London where I spent the most incredible three years of my life…while also frequently finding myself losing the will to live and feeling like I was drowning in scripts, lines, speeches, journals and just life in general. Talk about dramatic. I was definitely in the right place. There are three small pieces of advice I would give myself if I could have a word with 1st year me. Be Thankful – Take a second of every morning to remember the journey you’ve been on to get to the place you are today. Then, spare a sympathetic thought for all those who are sat in a boring lecture hall listening to a draining monotonous speaker dribbling through a soul-draining speech, while you roll on the floor pretending to be a snail. Relish every moment. Make Time – It might feel like there aren’t enough hours in the day, but it’s your responsibility to dedicate an evening or a day of your weekend for YOU. Go to the theatre, explore the city or just sleep. But don’t let the workload and non-stop days let you forget why you want to perform and pursue a career in the arts. Breathe – I know that ‘breathing’ is all you seem to be doing with your days in class but seriously…just chill out. There are still wars across the world and you have a roof over your head and a bed you can call your own. It’s not rocket science…and neither is the career we have chosen. So be thankful, make time and breathe. I studied English Literature & Drama and Theatre Studies at the University of Kent. My advice to any new performing arts students would be to always be yourself. Never be afraid to ask questions as there will always be someone who can try and help you answer them (especially when you’re new). I would also say to try and get involved in extra curricular activities such as joining a society. I joined the musical theatre society and made a lot of new like-minded friends who turned out to be like my second family away from home. And always remember that hard work, determination and positivity pays off. Follow Perry on Twitter and Instagram.